Enables centralized management of signatures and company disclaimers in email messages sent via Microsoft Exchange and Small Business Server. 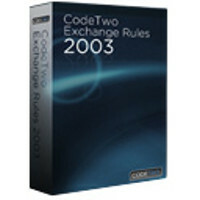 CodeTwo Exchange Rules 2003 will help you keep a unified and professional look of user signatures and will enhance the visual corporate identity of your business. At the same time the application will make your company mail meet the current legal regulations. 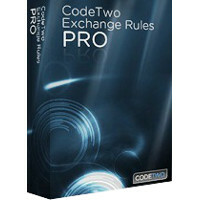 Boosts the standard mechanism of email rules on Exchange server 2013 / 2010 / 2007 and makes creating them straightforward. It also gives more options than Hub Transport. With just a few clicks you can create complex email autoresponders containing reply texts and attachments, apply forward rules rerouting emails to selected users (including external addresses). You can also modify "From" fields in messages, add, compress, archive or strip email attachments on the fly, block spam, automatically check message content and filter emails. Adding email signatures and disclaimers for Exchange is also a snap and can be done even by your marketing team remotely.